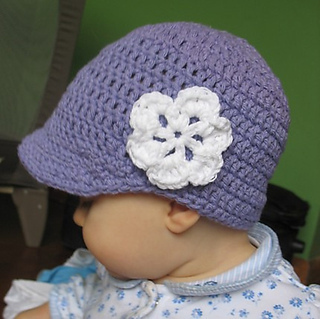 From designer: This is a simple hat I made up as I went along. I liked the result so much that I crocheted a few more. After many requests, I did my best to write out the pattern. I know very little about crochet and even less about writing a crochet pattern but I hope it’s a starting point! You are welcome to sell hats made from my design. 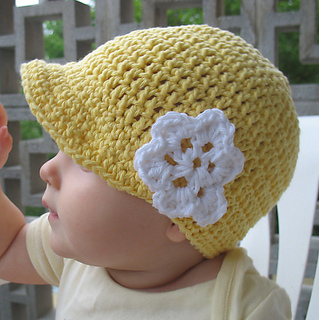 Please do not sell the actual pattern and please give credit for the design. Thanks and good luck! 10/21/11: Please make sure you have the 2/14/11 version of the pattern. While I am always happy to answer questions, 98% should be answered by the revision. Thanks! 2/14/11: I re-wrote the crown increase steps to make them clearer. You are increasing at a slower rate each round. The hat is worked in a spiral, but you can definitely join each round with a slip stitch and ch2 before the next round if you prefer. 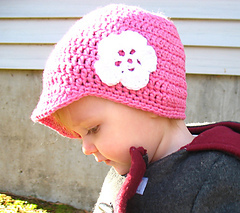 I used a G hook for the hat and an H for the last round of edging. Small error in pattern has been corrected 8/28/09. Please make sure you have the updated pattern.